Ecotech Marine Vectra S2 is the smallest pump Ecotech has made. The Vectra S2 DC pump can be used internal or externally on your aquarium. In addition to all of the out of box functionality you would expect from EcoTech - the Vectra S2 will also connect to Eco-SmartLive via the ReefLink. Unlock even more features and enjoy simplified programming through EcoTech's free online control platform - Eco-SmartLive. The Vectra S2 DC centrifugal pumps are built around performance and reliability. Coupling a class leading DC centrifugal pump with EcoTech's proprietary driver technology - delivers for return pump and closed loop applications in a big way. 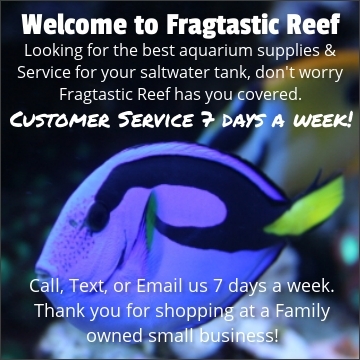 Fragtastic Reef recommends Vectra pumps for any return pump application. Ecotech Vectra is the World's Smartest Return Pump and available in three sizes. What's New with Generation 2? Included with the Vectra Pump are Quick Couple components, these fitted couplers provide the flexibility to make installation, cleaning and adjustments a breeze. The Vectra also boasts the ability to rotate the volute of the pump to adapt to the needs of your plumbing setup.